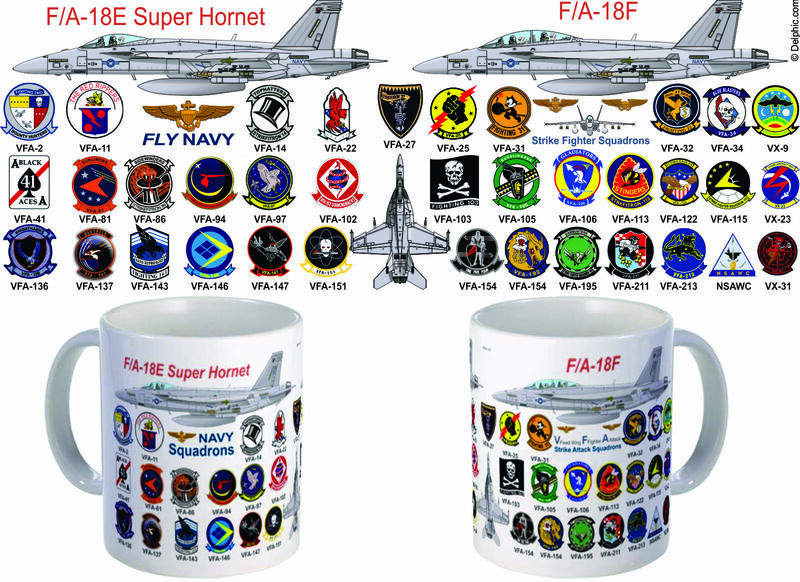 Our F/A-18 Super Hornet All Squadron mug features the single seat F/A-18E on the left hand side of the mug and the two seat F/A-18F on the right had side of the mug. Both planes are laden with drop tanks and JDAM bombs as if the plane just flew off the carrier. Opposite the handle, we have an incredible detailed top view of the Super Hornet. 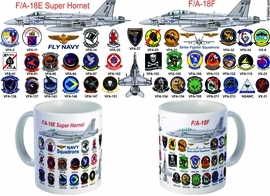 All the Super Hornet squadron emblems are wrapped around the mug.